Are you interested in becoming a qualified coach? Course starting: 12th September 2017. 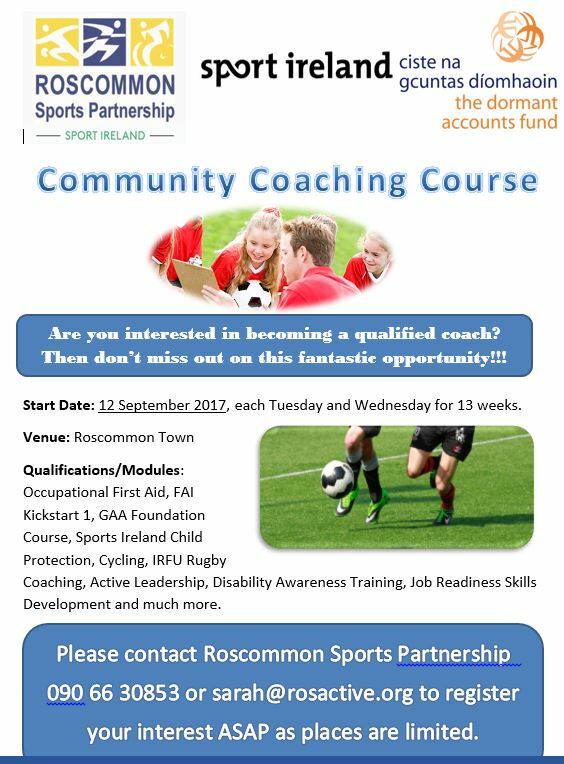 Qualifications will include: Occupational First Aid, FAI, GAA, Child Protection, IRFU Rugby Coaching, Cycling, and much more. Please contact 09066 30853 or sarah@rosactive.org to register your interest ASAP as places are limited.